On this week’s show, we look at the Iraqi cabinet’s approval for a new personal status legislation, called Ja’fari law, named after the sixth Shi’ite imam Ja’afar al-Sadiq. He established a school of jurisprudence (Shi’ite) in Madina in the 8th century. 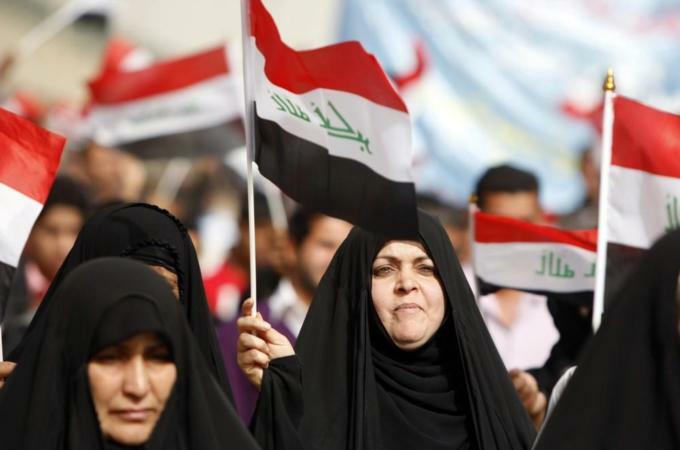 The draft law is now awaiting a final vote by the Iraqi Parliament, and has created an uproar among Iraqi women’s rights and civil rights community. If approved, the Ja’fari law will abolish the current Personal Status Law No 188, which is considered one of the most progressive in the Arab world. The new law will roll back the right of women in marriage, divorce and child custody, as well as inheritance. It will lower the age of marriage for girls from 18 to 9 and for boys to 15. In this week’s show, Malihe speaks with prominent Iraqi women Rights’s activist, Basma AlKhateeb, who volunteers with Iraq 1st CEDAW, Convention on the Elimination of Discrimination Against Women Shadow Report Coalition as expert and trainer. She spoke from Baghdad about who initially proposed the law and what the implications of this law are for Iraqi women. Shahram Aghamir speaks with Martin Chulov, the Guardian’s Middle East correspondent, about one his recent reporting trips to the Iraqi city of Najaf. Iraqi Shia militias killed in Syria are the newcomers to the city’s cemetery, the biggest in the world. They discuss the growing political force Asa’ib Ahl al-Haq’s connections with Iran and thousands of Iraqi Shia militias funded by the Iranian government to fight on the side of Bashar Al Assad, who is predicted to win the next election in Syria.